Social Skills are so important! 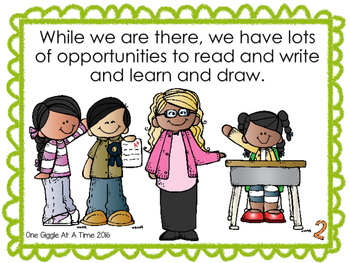 Calling all Special Education teachers, Speech Therapists, Regular Education teachers, School Counselors, and Inclusive Classroom teachers! 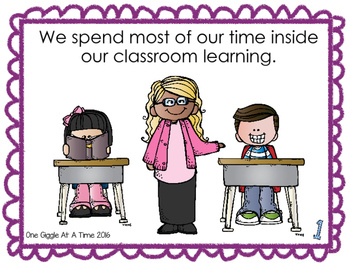 These Social Stories are perfect for reinforcing appropriate social skills in regular education students, students with autism, and students with ADHD. Classroom Management will become a breeze with the addition of these books to your Elementary Education Curriculum! 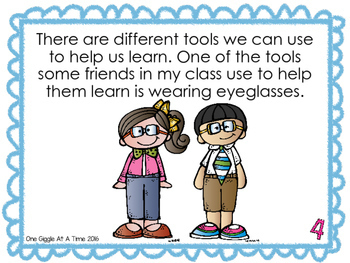 Glasses Are Tools For Learning (A Social Story About The Importance Of Wearing Glasses When You Need Them) is a great way to help students who struggle with wearing their glasses at school. 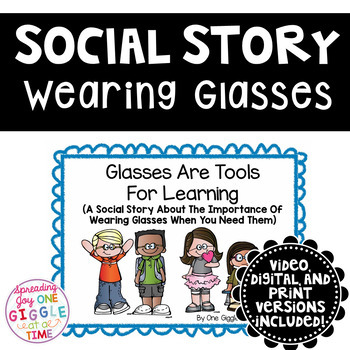 This book addresses the reasons glasses are important tools for learning and why kids who wear glasses should be respected, in simple kid language!This product can be printed out or projected onto the SmartBoard, and includes multiple ideas for use in the classroom, including large group, small group, and individual instruction. Check my TPT store for other Social Stories in this series!